Today, the traditional publishing path is in upheaval and turmoil. The economic downturn has caused many small publishers to shut their doors or, at best, significantly decrease their new release budgets. The emergence of the Kindle, Nook, and other Ebook readers has stirred things up. Publishers of all sizes are more carefully scrutinizing new authors, primarily seeking to invest in less-risky authors with established platforms. Gone are the days of a publisher investing marketing dollars to help an author develop their platform. I’m not preaching against the traditional publishing model. I cut my teeth in traditional publishing. My family was in the traditional publishing business for nearly 25 years. I started at the bottom in the warehouse of a traditional publisher picking and packing orders. I eventually worked my way up to running a subsidiary of this same publisher. Throughout my career, I kept seeing countless numbers of authors turned down because we simply didn’t have the budget to add them to our production schedule. I have studied the self-publishing industry in great detail. I became passionate about being a part of an author-empowering movement to publish and promote quality books that otherwise may have been unrecognized without modern advances in the self-publishing industry. What in the World do I do with this Manuscript? Once you’ve put in the necessary time it takes to complete your book, you have your manuscript. You may be feeling like you’ve actually given birth at this point. There’s a big difference between reading about this process, and experiencing it. All of the creativity, focus, and work that go into completing a book are something to be celebrated. In fact, you have reached a wonderful milestone in your writing career. A completed manuscript will ultimately take on various forms, even after it is finished. After the editing and proofreading process, manuscripts often look different from their original form. These two processes are completely necessary to get your book into a marketable form. Some writers are very proficient in the editing process and are capable of editing their own work. This means, they will go through their manuscript searching for grammatical and spelling errors. They will also proofread their book for construction problems. But overall, it is common for writers to get assistance with editing and proofreading. Fortunately, there are various literary companies that offer these services. They will not only give your manuscript grammatical attention, but they will also look for other issues. Minor problems with grammar can typically be corrected easily. In fact, most writing programs come with their own correction modules. Although these issues can be fixed quickly and easily, they are important problems to focus on. When a book has too many issues with grammar, it becomes difficult to read. Anything that takes away from the information in your book hurts the impression of your work. This is why these types of corrections are crucial. Correcting construction problems is also a service that literary companies perform for writers. With this service, editors will look for story line problems. This can come in the form of sentence or paragraph structure. It can also be an issue of character or topical information. Most of the companies, which do this type of work, will also provide advice for writers. This often comes in the form of a detailed analysis, showing which corrections need to be made. You will be very pleased once you’ve incorporated the necessary changes in your manuscript. Once these have been done, you will have a finished product that will allow you to look at your different publishing options. These options are various, but all rely upon your book being in the best final form possible. There are three publishing choices that are the most popular for first time authors. The first is to publish through a traditional publishing house. There are large and small publishing companies that are sometimes looking for new authors to publish. If you want to pursue this option, you will need to find an agent. There are some publishing companies that are co-publishers. These are companies that split the cost and profit on publishing your book with you. The third option is self publishing. In recent years, many authors have taken advantage of the self publishing option. There are also many companies that allow authors the opportunity to do things like cover design, font choice, and other marketing. Researching each of these will be paramount to finding which is right for you. In many novels, it is necessary to write in diary form. This is similar to an actual entry in a diary and is meant to convey a character's innermost thoughts, pertinent information, or as a way of including information that a character is reading within the story. This is the one area in a book where you are allowed to deviate from your set point of view. For example, if your book is written in the third person, it would be acceptable to have a diary entry written in first person. 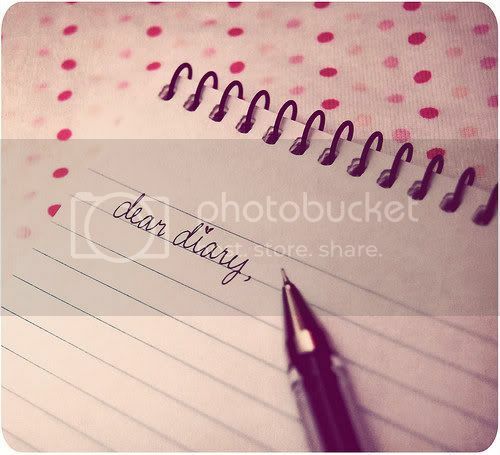 In order to write in diary form, you need to put yourself in the character's shoes. What are they thinking, what are they feeling, what message are they trying to get across? Think of it as your own diary – where you can express anything without fear of someone else reading it. This is the time to let your character pour out their heart to the reader. It can be emotional, it can important, it can even be humorous – but it has to be real. When you are including a diary entry in your book, it is necessary to distinguish it from the rest of your text. This is done for two reasons. First, you need to let the editor know at a glance that this is information that is coming from the character. Second, changing how the text appears offers delineation for the reader. Commonly, diary entries are included in book form as italics. When typing your manuscript, go ahead and put the entry in an italic font. The most important thing to remember about writing in diary form is that it should not be overused. Unless the book specifically calls for regular glimpses into the character's innermost thoughts, diary entries should be used sparingly and only when absolutely necessary. Rapper 50 Cent has mastered the keys to attaining power through fearlessness. In the SmarterComics adaptation of The 50th Law, “50” teams up with Robert Greene to share these keys with readers through an accessible, concise format. In the comic, readers are shown 50 Cent as a young boy, when he was still known as Curtis Jackson. Even as a youngster, he had one dominant drive: ambition. Although it’s money, freedom, and power that he wants, everywhere that he looks, he is reminded that the world is grim and depressing. Growing up in South Jamaica, Queens, the only people he sees are the people who have low-paying jobs and the people who live the lifestyle that he wants: the hustlers. The drug dealers have the cars, clothes, and lifestyle that matches young Jackson’s ambitions and he vows to become the greatest hustler of all. One day, while discussing the troublesome aspects of hustling with an older hustler, he is reminded, “The hard life on the streets can be a blessing if you know what you’re doing.” The hustler must focus intensely on the world around him; he must be able to sense trouble and sense opportunity, to look at himself and examine his own limitations and stupidity. Later, after spending time reflecting on his situation while in prison, 50 Cent realizes that the same keys to power on the streets can be used to succeed in the music industry and in the business world. These hard-learned lessons of awareness, realism, introspection, and keenness he teaches in The 50th Law. By sharing the laws of the streets, readers can gain invaluable insight into their own quests for money, freedom, and power. SmarterComics is dedicated to creating comics that “make you smarter.” By turning books into comics, readers are presented lessons that range from self-help to getting rich. Some reader favorites have included their unique takes on Sun Tzu’s The Art of War, Miyamoto Mushasi’s The Book of Five Rings, and Niccolo Machiavelli’s The Prince. Robert Greene is most famous for writing The 48 Laws of Power, the modern day version of Machiavelli’s The Prince, detailing the dynamics of social and political power. The 48 Laws of Power became very influential in the hip-hop community and has been mentioned in songs by Kanye West, Drake, Jay Z, Young Buck, and others. 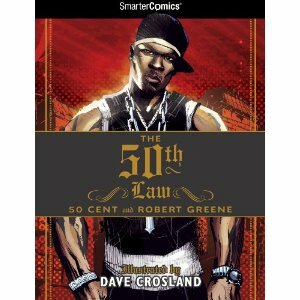 Based on this influence, Greene teamed up with rapper 50 Cent in 2009 to write The 50th Law, elaborating on the themes of power using 50 Cent’s life as a backdrop. His other titles include The Art of Seduction and The 33 Strategies of War. 50 Cent is undoubtedly one of the biggest names in the rap industry. His 2003 album, Get Rich or Die Tryin’ has been certified six times platinum by the RIAA. Although 50 Cent enjoys tremendous success now, his roots are those of a hustler; he began drug dealing at the age of twelve, which gave him the need to become fearless in order to attain success and power on the streets and, later, in the recording industry. It is this fearlessness that is detailed in The 50th Law. “The 50th Law from SmarterComics” will be published on 10/10/2012. Full color with 80 pages. Paperback $14.95. Kindle $6.99. iPhone App $4.99. In The Killer Knows Why, pulp fiction author Yannis Mitsopoulos draws readers in with ease by throwing open the doors to his home of Greece, letting them experience the romance of the settings tucked in the mountains and coasts, along with the secrets that entice them to read each of his seven spellbinding stories with complete abandon. Mitsopoulos weaves the stories in and out of everyday lives, traditions, and beliefs as he allows his readers to become voyeurs into the minds of those that kill for a reason. The first story tells the tale of a woman whose life has been one of missed opportunities, only to regain a life for herself through the secret found in her father’s journal. In the second story, a little boy’s love for a race car carries him to a tragic end. The Killer Knows Why tells five more tales: Greek tragedies intertwine old curses through modern lives only to end, well, tragically as a family spins their tale for everyone to see. An artist finds that Death can be an inspiring muse. A young ex-soldier finds that fatherhood can push him to fight even the devils of the deep to bring his daughter back. A man that tries to not let others poison his life, his thoughts ends his life while attempting to poison the one that poisoned him. And, a mother that knows what is best for her daughter ensures with a little help that both their lives are secure. Seven stories wrap around the reader like a bright, beautiful day only to find that even beautiful days have their moments of cold. Yannis Mitsopoulos draws his inspiration from real life events, situations, and places, lending to the ambience with which he weaves into his fiction. Mitsopoulos invites readers to experience a taste of Greece, so do not hesitate! Grab your favorite sweater then let yourself experience the warmth and chill of The Killer Knows Why.